The bus is the most patronised of all land-based public passenger mode but is seen as a somewhat unglamorous means of supporting mobility and accessibility, in contrast to rail - heavy and light, yet offers so much to the travelling public as well as offering attractive sustainability opportunities. This book reflects the author's perspective on issues of importance to the preservation and health of the bus sector. The twenty one chapters cover the themes of institutional reform, performance measurement and monitoring, service quality, costing and pricing of services including commercial and non-commercial contracts, travel choice and demand, integrated bus-based systems, and public transport policy, especially challenges in growing patronage. 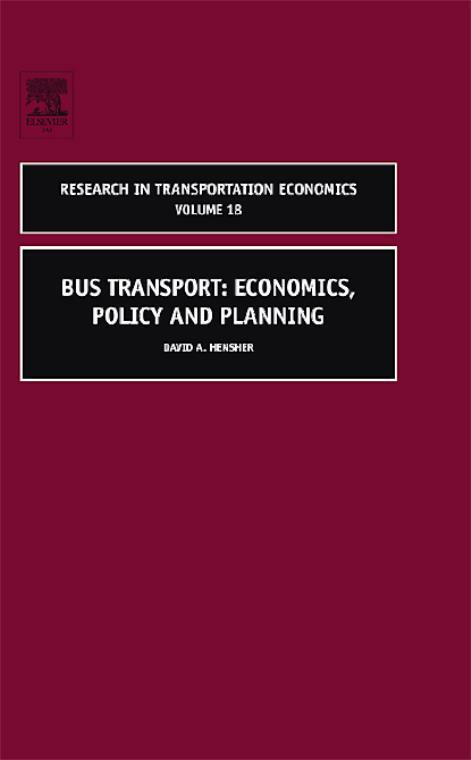 Chapter 19: The imbalance between car and public transport use in urban Australia: why does it exist?